Canadian indie rock collective Arcade Fire have been surrounded by rumours that James Murphy is producing their new album since last year. Murphy later confirmed that he'd appear on the album in some capacity, though he wouldn't admit to signing on as producer. Now, however, we have confirmation that the band are recording in his own DFA Studio in New York. 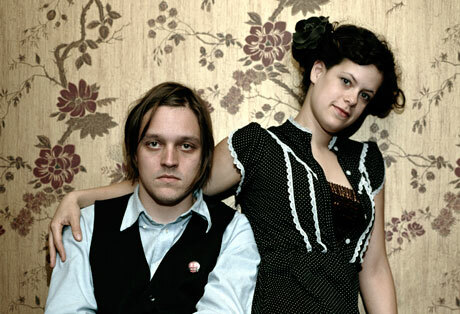 The news comes from the studio's Twitter account [via Pitchfork], who wrote, "Arcade Fire STILL with us at DFA... This is going to be one great sounding album!" For now, that's all we know about the new release. However, we should point out that the all-caps "STILL" means they've been in the studio for a while, and might be nearing the end of the recording process rather than at the beginning of it.